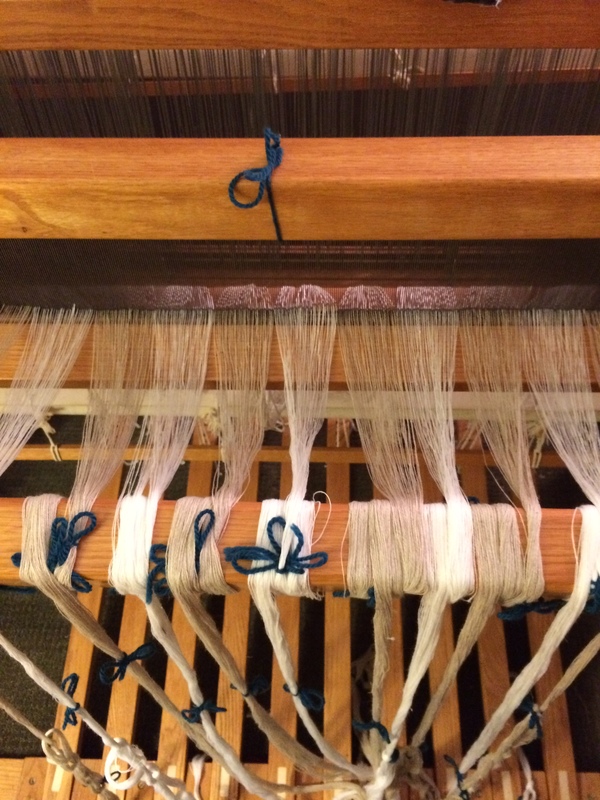 My next foray into weaving has begun. This project is a wedding gift for my Godson and his fiancé. I am creating a table runner using stripes of natural and bleached cottolin. 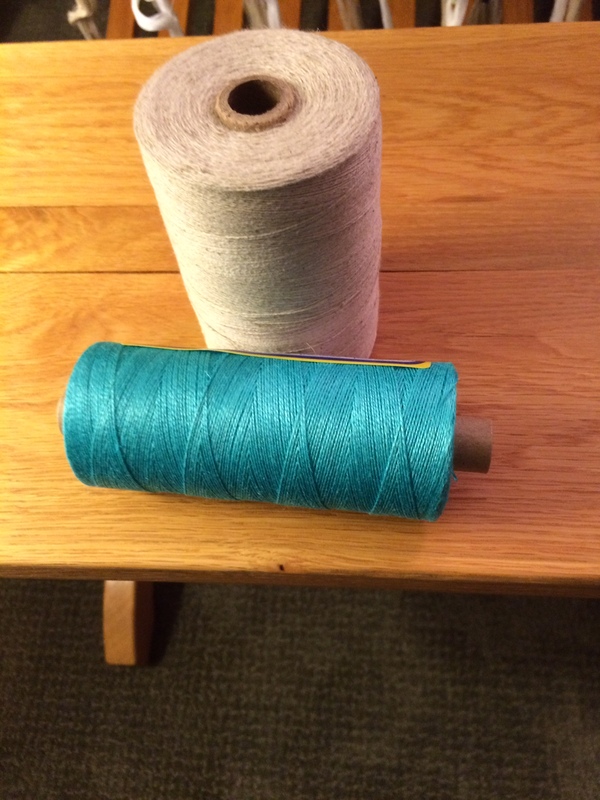 The weft will be one of those hues—I need to experiment a bit so as to make my final color decision. I will weave in a diamond pattern that is a modern take on a Norwegian folk symbol. My aim in this is to make an heirloom piece that is contemporary, yet speaks in a hushed voice to part of his heritage. My hope is that the turquoise diamonds will bloom as wildflowers in a field in spring.